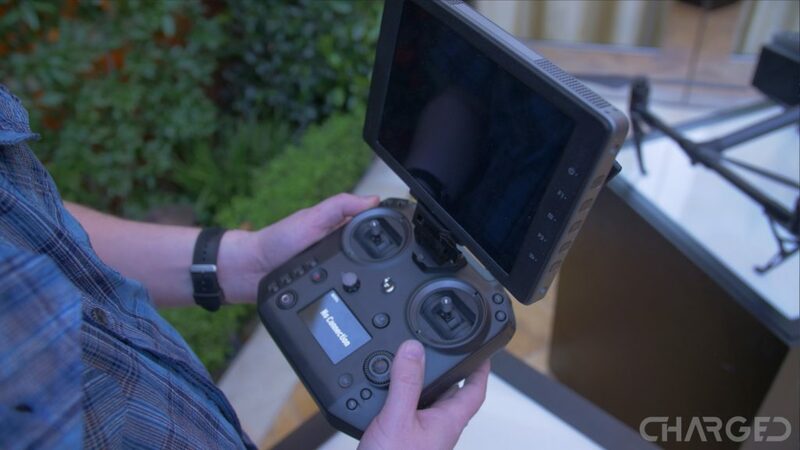 Kicking off the NAB Show in Las Vegas, DJI has announced three major new products, the Ronin 2 camera gimbal, the Cendence drone remote control and the Tracktenna drone remote signal booster. 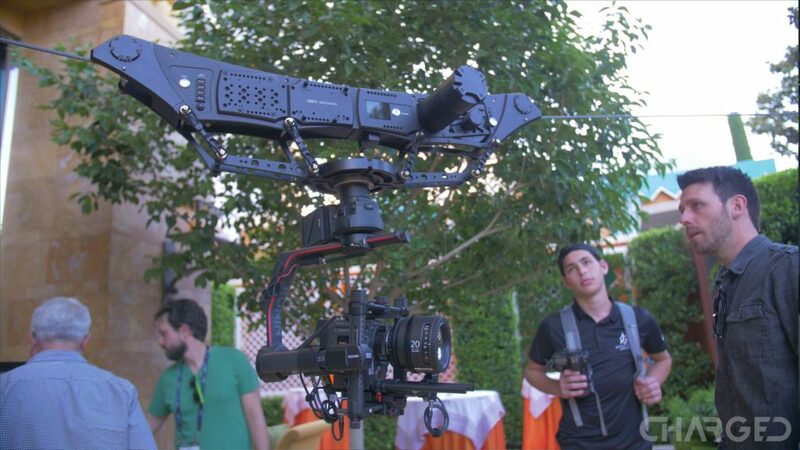 The event was held with a small crowd and the Ronin 2 was the star of the show. Following presentations on the impressive camera rig, DJI announced the drone related devices, designed for higher end DJI drones. Let’s take a look at the new remote control and signal booster. If you are wondering why we’re talking about a big, professional camera rig in a drone article, keep in mind that the largest of DJI drones can haul around a Ronin. That means putting your DSLR or other video camera into the air. We’ve seen many camera drones and professional drones to do this, of course. The Ronin 2 has been revamped in almost every manner, hot swappable batteries, GPS enabled, stable image up to 75 mph and more. 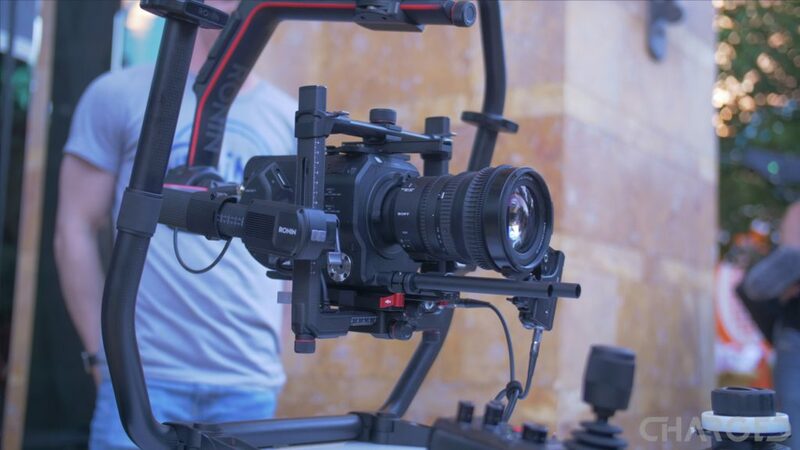 This rig will, almost certainly, outlast you on a grueling shoot, and that is a great thing to expect from a camera system. DJI has not yet announced pricing or exact availability, but we should see this rig in the hands of filmmakers later this year. Owners of the DJI Inspire 2 or those looking to purchase the M200 series drone will have the option to pick up the Cendence remote control. 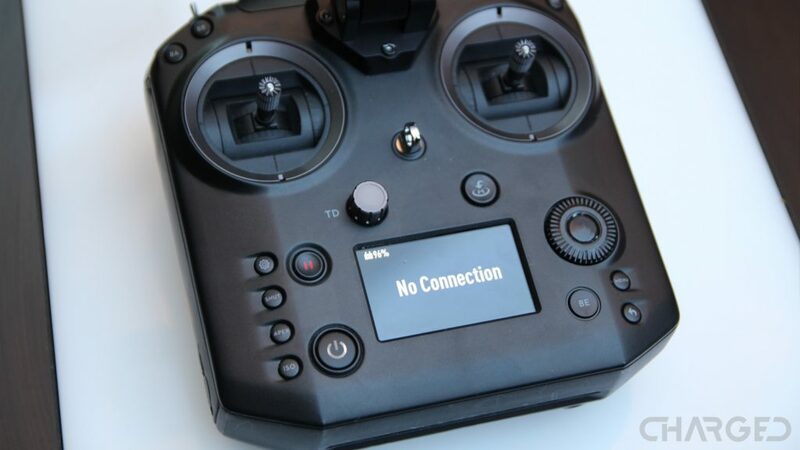 Packing a built-in display, multitude of controls and buttons and plenty of HD video management, this is a serious controller for camera drone operators. 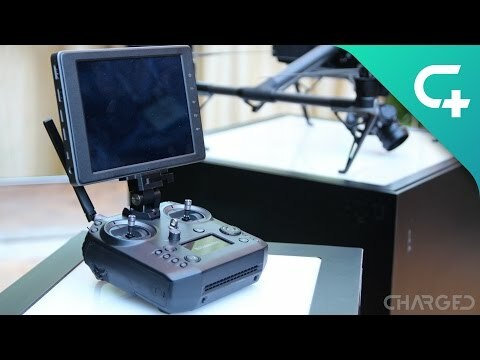 You can connect your mobile device, an HDMI or SDI display or use one of the SkyPixel displays from DJI. Swappable battery makes for easy all day handling, each battery should supply about 2 and a half hours of juice. That modularity goes for the antennae as well. The Cendence remote is a selectable dual-frequency remote, with range of about 4.3 miles. Bump that up a bunch with the new signal booster, but 4.3 miles is more than you’ll need maintaining the line-of-site legal flight of the FAA. Dual operators can select host and slave modes on the Cendence remote, assigning a pilot and a camera person. DJI Cendence will be available later this year for $999. When connectivity is of concern, either for distance or to ensure a solid connection at close range, the new Tracktenna may be the answer. To be fair, the Tracktenna is a signal booster for the Cendence remote control, so us Mavic Pro users will need to stick with what we have got, for now. Connect via wire to the signal booster and watch as it automatically spins to track your drone. Enjoy a 6.2 mile range with up to 10Mbps data transmission speeds at as far as 1.24 miles away. What that really means is that within visual line of sight, you should have no problem at all with full HD video transmission. 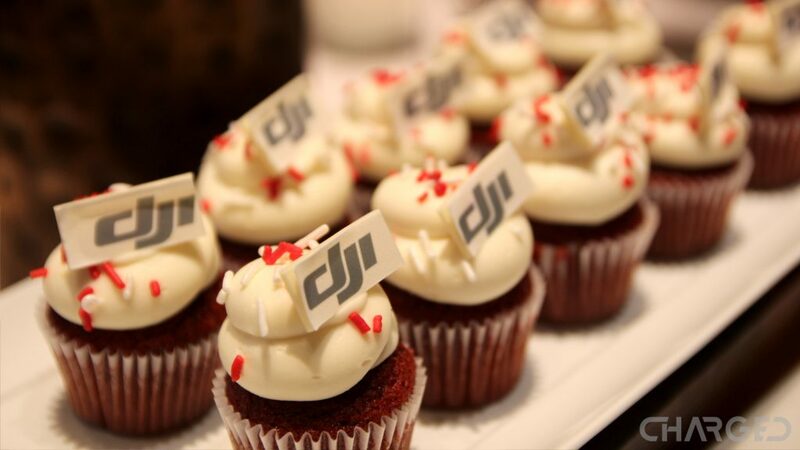 The last thing DJI announced at the event was a new premium customer service experience. The idea is simple, if you want battery rentals, device repair and backup services, global SOS service, exclusive membership benefits including airport lounge access, DJI Circle could be for you. DJI Circle will cost you $4699 per year, so it’s not for everyone, but having batteries delivered to your shoot when you are in a pinch, or when you are traveling and can’t fly with your batteries, could be a lifesaver for camera drone professionals. If you own multiple DJI machines, DJI Circle could be a great thing. That was the basics of the presentation, kicking off the NAB Show for us in Las Vegas. 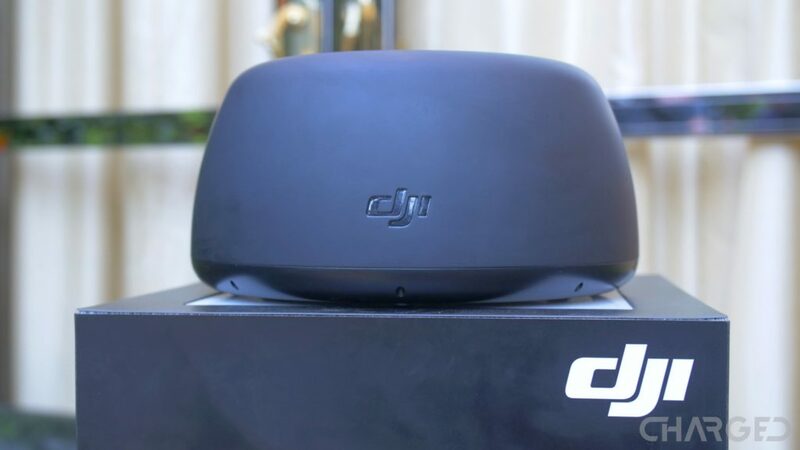 The products are on site at the DJI booth on the show floor, if you are reading this article in the immediate hours after it’s posted, hit the comments below if you have any questions on the devices. We’ll be back tot he booth on day two of the show, happy to get answers to your questions.